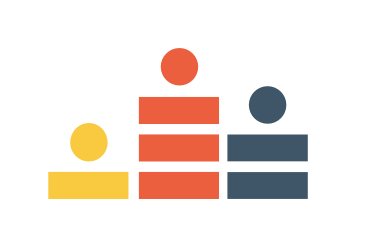 Crowdcast RTMP Studio enables you to use professional live streaming software with Crowdcast. 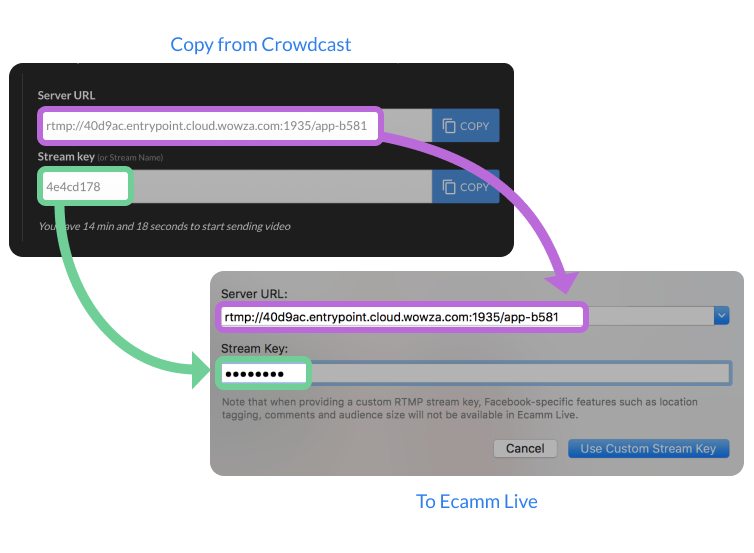 In this article we will show you how to connect Ecamm live to a Crowdcast event. First open up Ecamm Live and set up your camera and scenes. Next follow the steps below to go live. 2. In the bottom right of Ecamm Live change the "Destination" to "Custom Stream Key" and then click on "Add new stream key". 4. When you're ready to go live simply click on "Go Live". While live, all the powers of Ecamm live is available to you including bringing in callers from Skype or Facetime, sharing recorded videos, lower thirds, intro/outro videos, screen-sharing and more. When you're ready to end the broadcast click on the "End Broadcast" button in Crowdcast and then "Finish" in Ecamm Live. We'll start processing the recording and make it available in a couple of minutes.